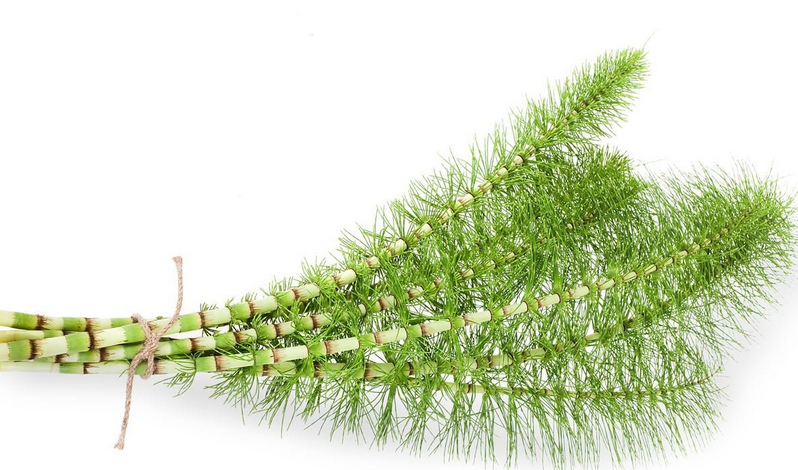 Horsetail: (Equisetum Arvense) Horsetail extract isn’t really a --horsetail-- it is a fickle plant full of antioxidants that has the consistency of horsehair, and is a major component in natural haircare products! Native to North America and Eastern Europe, sometimes horsetail is confused with the alfalfa plant due to their similar appearances. In skin care products, horsetail extract is an antimicrobial and anti-septic that speeds would healing and keeps open wounds clean. Anti-inflammation properties help in combating symptoms of eczema and psoriasis. Horsetail also helps build collagen with its silica-absorption which makes it an ideal ingredient in anti-aging regimens. Silica isn’t only beneficial for anti-aging of the skin, but it helps heal split ends and keeps hair looking fresh and even. Horsehair extract also promotes hair growth and has been known to combat baldness when used as a supplement.